Virginia drug defense for me frequently involves drugs that can be obtained by prescription. As a Fairfax criminal lawyer, I know that people can get prosecuted for alleged criminal possession of prescribable drugs/controlled substances in such ways as not having the medicine in a valid prescription bottle nor with a doctor’s prescription form; admitting that the medicine was not obtained lawfully; possessing someone else’s prescription drug package; and fraudulently seeking a drug prescription or prescription drugs (for instance forging a physcian’s signature on a prescription form, or lying to a physician in an effort to obtain prescription drugs). Carrying prescription drugs outside their prescription container risks not only a greater chance of prosecution in Virginia, but also prosecution in states whose laws require keeping prescription drugs in their prescribed containers. 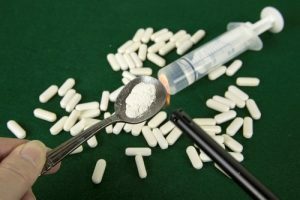 Even though Virginia appellate caselaw presents the drug prescription defense as an affirmative defense to be presented by the defendant, a Virginia criminal defendant still can still work to attack at trial whether the prosecutor has proven beyond a reasonable doubt that the controlled substance was not lawfully possessed pursuant to a prescription. In this day and age of widespread prescription of opioids, including Oxycontin, we will continue to see a slew of recipients of such medicine get so hooked that they will be unable to obtain sufficient dosage levels in their physician’s prescriptions to satisfy their opioid cravings. Unfortunately, that will often lead opioid addicts to forge prescriptions for their preferred medicine, obtain opioids that have not been prescribed to them, and turn to the herion Russian roulette. ADD/ADHD medicine Adderall — whose active ingredient is amphetamine — is commonly purchased unlawfully rather than obtained by prescription. An easy fix against such prosecutions is to obtain a prescription for ADD medicine. America is over-medicated, which inevitably will lead to violation of controlled substance laws. Fairfax criminal lawyer/ Virginia drug attorney Jon Katz advocates extensive drug legalization and decriminalization, and has successfully defended hundreds of drug defendants since 1991. To consult in confidence with Jon about your criminal or DUI case, please call his staff to schedule an appointment, at 703-383-1100.